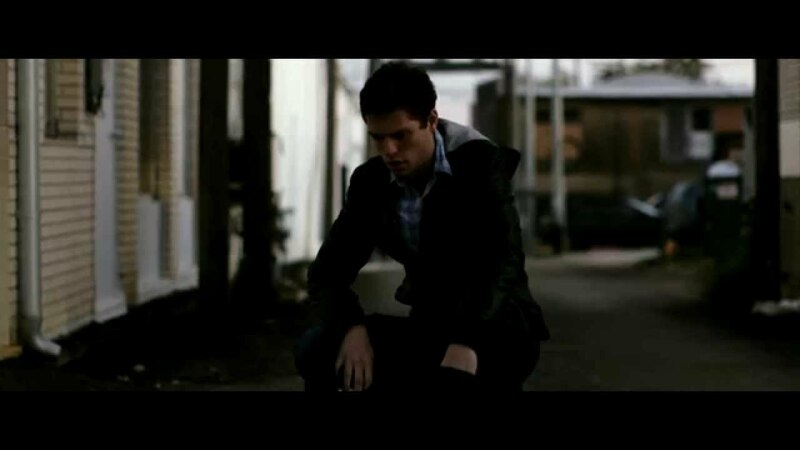 Atomic’s most recent 48-hour project, completed only a couple of weeks back, delivers a sharp police thriller. It won Best Director, Best Acting, Best Cinematography, Best Musical Score and Best Sound Design. Atomic Productions is run by the Adams twins, Andrew and Ben. We first encountered them when they were just starting out, about a decade ago, and with each project they’ve challenged themselves to do better. The results speak for themselves – they’re now professional producers of music videos and corporate videos in Austin, Texas while creating artfully crafted short films in their spare time. Andrew and Ben have always embraced the format of the 48-hour film challenge, whereby teams are assigned various criteria (such as a title, genre, prop or line of dialogue) and have two days to create a completed short. The Atomic team has honed their formula and skills over the years to become a 48-hour miracle factory, culminating in a screening at the Cannes Film Festival in 2014. “We won ‘Best Film’ in our city last year,” Andrew recalls, “our short film went on to the international level of the 48-Hour Film Project, which is a film festival held at the Chinese Theater in Los Angeles known as ‘Filmapalooza’.” From there about ten films were selected to play at the Palais in Cannes – including Atomic’s Thunder & Ash. Let’s rewind. Most indie filmmakers will have tried out a 48-hour contest at some point, discovering the unique set of restrictions and challenges that come with the territory – a vastly compressed schedule, sleepless nights, only time for single takes, no room for iteration. Yet Atomic frequently create 48-hour projects of a quality on par with a normally produced short film. What’s their secret? HitFilm: Exactly how many 48-hour contests have you guys entered? 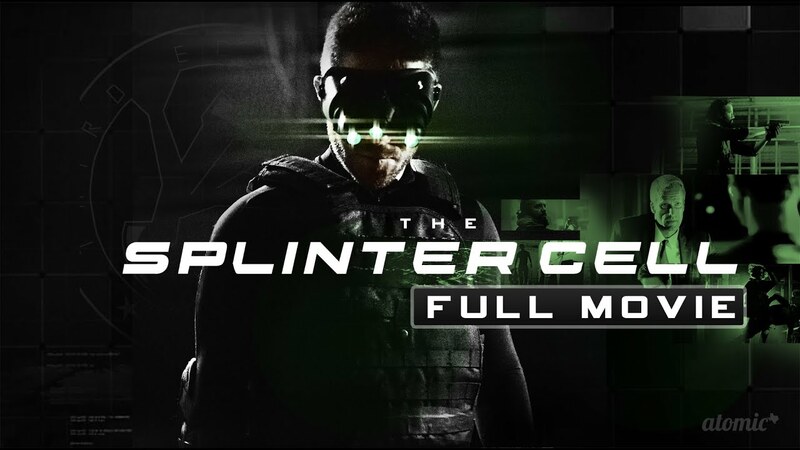 Last year we got to work with Atomic on their Splinter Cell fanfilm, which marked the first production use of HitFilm 3 Pro – a month-or-so before its official release. Atomic: Oh, jeez. It’s hard to say. I believe eight. Nine if you include the one we just completed. HF: Of those, how many have you either won or placed highly? Atomic: All but one of them we’ve received some major award in. Five of those we’ve received multiple major awards or the top honor of ‘Best Film’. We’ve been very fortunate. HF: So you’ve been making videos – not just for 48-hour contests – for a long time. Going way back, how did Atomic Productions come into existence? Atomic: We started as a small group of friends that loved making movies, really. First myself and my brother Ben, then four of our closest friends. We delegated roles throughout middle school and high school and found our individual strengths. We’ve been working together ever since. We often say it really is the mix of timed film competitions like the 48 and, honestly, the passion and energy of the HitFilm (then FXHOME) film community even over a decade ago that helped form our team. HF: Don’t 48-hour contests limit what you can achieve creatively and technically? Atomic: Aside from the obvious fun of competition and the rush of adrenaline such a contest gives off, I think a lot of it comes down to motivation and enthusiasm. Filmmaking is such an intensely collaborative experience – and often that requires a lot of different people and moving pieces to work in conjunction with each other for a long amount of time. It can tire people out, wear down their belief in the project, and collective enthusiasm is often lost. What the 48 does, quite elegantly, is galvanize everyone toward the attitude of “we can get this done, and in two days it’ll all be over.” A great actor who may never have the time to be strung-along for weeks on a project, or a composer who might charge you session time for something mixed, or a property owner with a cool location wary of film crews lingering around – are ALL much more likely to help if they know it’s all over in a weekend. HF: You have a lot of regular collaborators in your cast and crew. How important is that to 48-hour projects specifically? Atomic: A large part of the reason timed-competition projects work, or are able to be completed at all, is because of that level of trust. When people are friends, and technical aspects of a project are being covered and double-checked by a crew that’s in-sync with one another, everything just goes so much faster and easier. It doesn’t mean you aren’t without arguments, drama, or disagreements every now and then but it means when it’s time to get down to it and get things done you have each other’s trust. Everyone’s in it to win it. HF: What’s your creative process? Once you get the brief how do you turn it into something that feels like a proper short film? Atomic: I just go back to whatever first pops into my head, and write that down. Whether it’s a phrase or an idea or a character, I go off of that and figure out how to fit three acts into it that can be produced and play in a runtime of less than 10 minutes. So many teams and films are so blatant and obvious with their required elements, that it makes me cringe. I’ve always seen them more as a marker of “hey, here’s proof I made this in 48 hours.” So a big part of the required elements, to me, is figuring out how to subvert them. Stuff like a required spoon prop? Throw it in anywhere that makes sense. Writing around that is a trap, and loses focus from writing an awesome movie, not a series “a-ha” moments for where and how to use the requirements. From there, I look at the movies I love within whatever genre we’re given, and, to be honest, I steal all the best moments I can. HF: How does the schedule of a 48-hour contest compare to a normal project? Atomic: I’d say the breakdown is pretty similar, on a much smaller and more razor-sharp scale. You put as much as you can into pre-production – locations being secured, readying crew, making casting decisions and getting actors on board -where you can throw the kitchen sink at it. Then play to your strengths. Did you get comedy as a genre? Great, what actors do you know who can pull off something funny? Got fantasy as a genre? Awesome, what crazy locations do you have that you could possibly use? It’s the spontaneity that makes it such a peculiar, crazy, special experience unlike a normal project. Prepping a shot for the film Slow Burn. HF: How much pre-production is even possible? How do you know when to start shooting? Atomic: Some people like to start shooting immediately. They knock out their scripts and get going in the first night and BOOM. They’ve jumped right into it. We don’t really like that approach, because we think it can cause you to lose stamina and tire-out too quickly. It’s a turtle-and-the-hare situation for us. Our first night is dedicated to writing the script, planning and securing locations, and getting sleep. That’s essential. Having a solid idea – and having everyone on-board for it – is so important. Take the time to make sure you’re about to jump into something good. Something you’re proud of. And then go for it. Before everyone goes to sleep for the first night, we put a whiteboard up of the weekend hour-by-hour and write in, roughly, where and with who we think we’ll shoot each scene. And we give ourselves a deadline a few hours before the official, actual one. HF: You can’t do endless takes to get the perfect shot. How do you maintain quality while still hitting that deadline? Atomic: The trick is to understand when to just move on. If you’ve got this amazing crane shot, but then the rest of your footage looks like rushed crap – it’s not worth it. Consistency is key. That’s what makes people take notice and say “hey, that was good.” That’s what wins. It almost doesn’t matter if it’s super spectacular in one area or another. Having something with a balance of talents and strengths is far stronger and more-memorable than a movie that makes concessions in one area to support another, in my mind. The Atomic team in France. HF: What’s the most efficient way to use your cast and crew? Do you have someone start editing while you’re still shooting? Atomic: I think to some extent you’re pretty much doing everything at once. It’s part of the big jumbled creative storm that keeps it fun, I’d say. But it’s also that chaotic mess that makes it possible to get things done without losing your mind. There’s lots of moments of collective rest to clear our heads and stay focused – very short moments – but moments nonetheless. But there’s never a sense that anyone is waiting on another person. We’re all at work on the project, in all roles, constantly. HF: The edit can turn a bad shoot into a good film, or take a great shoot and mess it up. On a 48-hour, post is when you’re going to be most tired. How do you keep up the energy and focus? Atomic: It’s tough. Only this past year, 2015, have I actually not felt delirious by the end of it all, or nervous as hell we weren’t going to finish in time. I think lots of that comes down to time management, though. I write the script, break and sleep. Secure locations and confirm with actors, break and setup the edit. Sequences are shot throughout the first day and brought back to the editing bay, I take care of those while the rest of the crew sets up the next sequence or set, etc. There’s a fluidity to it all. HF: How do you keep your cast and crew engaged throughout the 48-hour without sleep? Atomic: When you get people to trust you, and trust in your collective ability as a team to get the film done and make something special, people are often willing to go further than they normally would. But you have to recognize where you’re whittling people down past the edge of their wits and say “Okay, screw it, let’s break for an hour.” Maybe the movie hurts a little because of it. Maybe your timeline to complete things gets pushed a bit. But the performance of an actor or crew member will be 20x better the moment they return, knowing that their contribution was acknowledged, and their time, patience, and focus respected. Some people power through the entire thing. We used to do that. But I don’t think it’s particularly worth it anymore. We’ve found the same if not better results by stopping for a bit to re-energize and focus. Clearer minds make better movies, I think. HF: Naming no names, how do you deal with people who aren’t fully on board, when the clock is still ticking? Atomic: Haha, oh yes. And it’s difficult and certainly leaves an impression, there’s no doubt about it. For every amazing experience, people always seem to have some horror story of a nightmare experience. 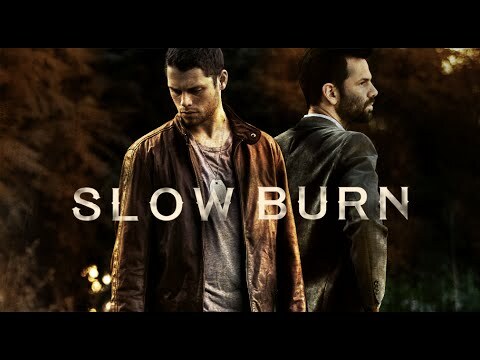 Accepting awards for Slow Burn on 30th August. Luckily, we’ve never been in any situation where the problems were unrecoverable. We can have arguments, we can have disagreements. But when you’re working with someone who is just through-and-through ‘difficult’, and doesn’t have trust in the team – that can make the whole event and experience feel miserable. That’s no good with us, because the experience being fun, pleasant, and positive is half the reason we create anything at all. Ben loves to say that filmmaking is collaborative but it isn’t a democracy. At some points in creation certain people have to let go and put their faith in others to get the job done. That’s just how it is, no egos or hurt feelings about it. HF: What would be your main advice for a team embarking on their very first 48-hour? Atomic: Play to your strengths. Work with people you trust, love, and care about. Make a story that speaks to what you believe in and can reasonably accomplish. More important than following any rules, incorporating any elements, or adhering to any genre or style – is having a good time and making a movie you’re proud to show. The rest is just white noise, in my opinion. Have fun, work with people you can enjoy the company of, and try your best to make something great. That way, at the end of the day, win or lose, in on time or not, you’ll have done something that makes you happy. Does anything else really matter, honestly? All of which brings us back to May 2015, when the Atomic team found themselves walking the Boulevard de Croisette in Cannes. Not all 48-hour contests lead to the Palais but they do provide unique opportunities to hone your skills. Mastering the 48-hour schedule puts you in good stead for keeping to time and budget on larger projects. Successfully managing a cast and crew over such an intense period gives you all the people skills you could need. If you’ve taken part in 48-hour contests let us know about your experiences and share your movies. And if you’ve got a contest fast approaching, make sure you learn from the best.